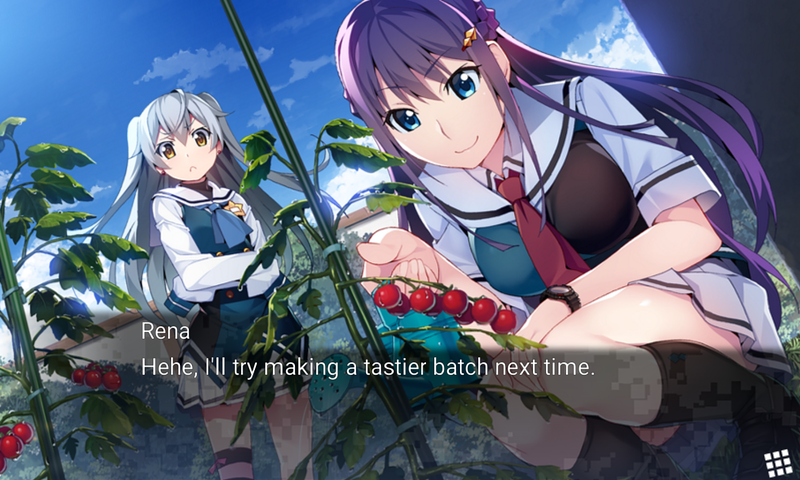 Frontwing have an unexpected release for us all – they have revealed that the first two volumes of the Grisaia: Phantom Trigger series have launched in English on Android in Australia, New Zealand and Canada. This port is based on the Japanese only PS Vita version of the game. Frontwing plans to extend this to more countries in the future over time. Here is the description of Grisaia Phantom Trigger Vol. 1. Aside from the story synopsis, the description for Vol. 2 is identical. After the big hit series of PC games and an anime adaptation, the Grisaia franchise received its long-awaited sequel in the form of Phantom Trigger, a new visual novel series with art by Akio Watanabe and stories by Ryuta Fujisaki. After receiving a console port in Japan in 2017, Phantom Trigger is now also available for Android! The Android version is based on the console version, with high quality graphics, and fully voiced (with exception of the protagonist). ◆In addition to confirming your device meets the requirements listed below, please note that some devices may not be compatible with this game even if they meet the recommended specifications. In particular, devices with Intel CPUs may experience compatibility issues. ◆After you purchase this game and start it up for the first time, the application data will be downloaded. This requires at least 860MB of available space. ・Downloading the game may cause you to exceed any applicable data limits set by your carrier. Therefore, it is recommended to download the game via Wi-Fi. ・Please be sure you have at least 10 minutes of uninterrupted, stable Wi-Fi or LTE access for the game to finish downloading. The goal of SORD is to train a new generation of operatives to defend the country against future threats. To that end, the organization has established a series of schools up and down the country. Mihama Academy, more-or-less left to rot after its abrupt closure, has been given new purpose as one such ‘specialist training school’. This new incarnation of Mihama Academy is home to a diverse group of students, who every day work to polish their unusual skills – sometimes on the job. Mihama now entrusts the misfit girls who attend it with guns and live ammunition. Paying their own safety no heed, these students are again and again plunged into dangerous extrajudicial missions – all for the good of the realm. No matter how much life grinds them down, what future awaits these girls, who’ve themselves chosen the path of the gun? You can purchase Vol. 1 here and Vol. 2 here.